The Academy at Syracuse Studios is committed to creating a sustainable ecosystem of skilled film crew in Central New York. The best way to learn is to do, and that’s what The Academy is all about: providing opportunities that no other program can. Here you’re not just a student, you’re crew! The Academy hosts trainings for film professionals in the Syracuse area, including Grip and Electric trainings in collaboration with IATSE 52. 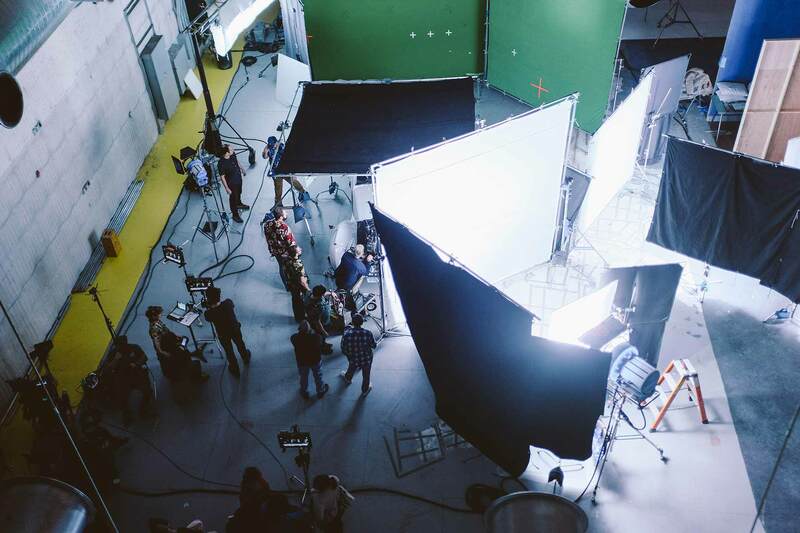 In addition, thanks to the Academy’s unique internship programs, local students don’t have to move to Los Angeles or New York City to work in the film industry, they can build their careers right here in Syracuse. Each semester the Academy’s (8-12) week production internship in collaboration with Syracuse University’s Newhouse School and other local universities allows students the opportunity to get hands-on, real world experience on professional film productions, all while enrolled in classes at their college or university. From pre-production through principle photography and post-production, we provide students the opportunity to develop skill sets and gain valuable industry experience through the entire filmmaking process. To date, we have helped nearly 100 on-set interns earn college credit on our productions. In partnership with American High, our Reader Program allows students from around the world to participate directly in the development process by providing insightful feedback on screenplays in active development. As a job responsibility almost universal to introductory employment in the film industry this internship with the American High Development Team helps develop a foundational skill necessary for employment in the film industry. Finally, students can learn the ins and outs of visual storytelling through classroom lectures, hands on workshops and guided discussions from professional screenwriters and filmmakers. PAST INSTRUCTORS HAVE INCLUDED Jake Fleisher (Loud House, Best. Worst. Weekend. Ever. ), Nathalie Emmanuel (Game of Thrones), Academy Award Nominee Josh Lawson (House of Lies), and Jeremy Garelick (The Wedding Ringer, The Hangover, The Break-Up).